This ultra-light and durable stand bag offers a comfortable carry, with hip pad and dual x-strap system, and automatic stand system. 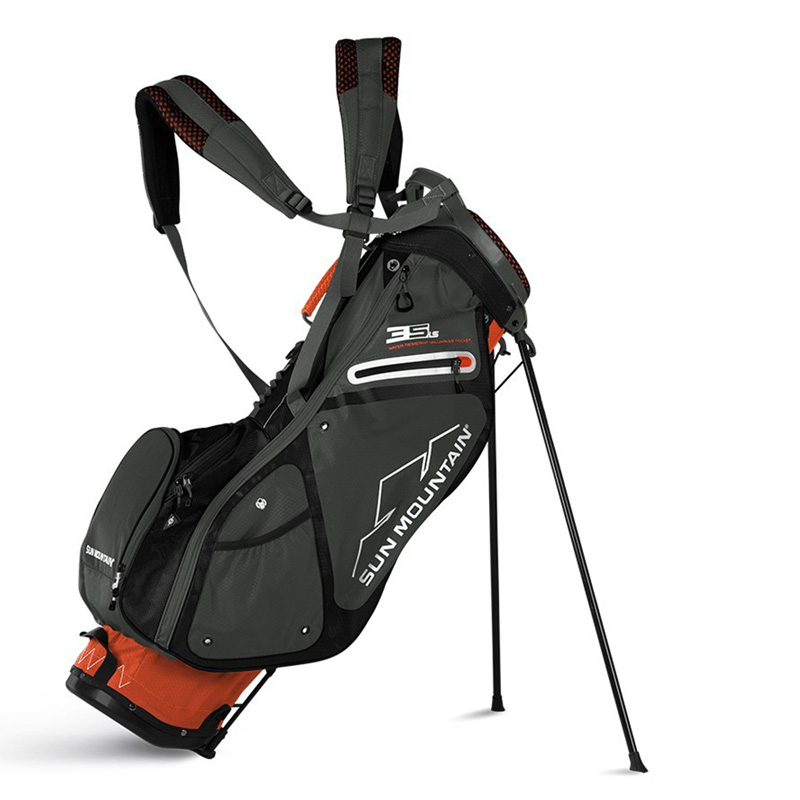 The bag boasts a 4-way club divider, for better club management, and has a built-in lift assist handle for easy lifting to and from your mode of transportation. To get you organised the bag has 7 pockets, these include a full length apparel pocket, water-resistant velour-lined valuables pockets, hydration pouch, and multiple accessory pockets all perfectly located for easy access. 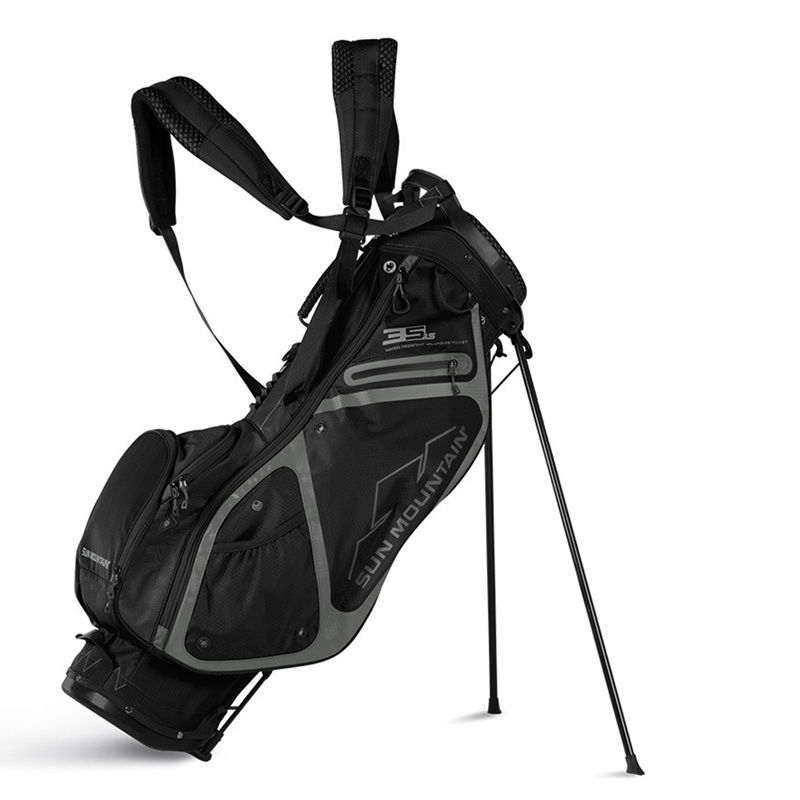 This bag is also instantly ready for use with lightweight carbon fibre legs that automatically deploy when placing on the ground, plus comes with matching rain hood to protect your clubs from the elements. Weight 3.5 lbs.